MADISON - Bruce "Alex" Alexander, age 73, passed away on Sunday, Dec. 11, 2016, in the presence of his beloved family. Alex was born Dec. 22, 1942, in Madison to parents Winfield and Irene Alexander. He attended elementary school in Shorewood Hills and graduated from West High School. Alex then attended UW-Madison where he studied mathematics and computer science. After leaving college, he proudly served in the U.S. Coast Guard. When he returned to Madison, he pursued a successful real estate career for a number of years. Alex's deep interest in "anything with a motor" led to his involvement in various aspects of motorsports. He worked with friends building and racing fuel dragsters. Alex was also very proud to have been part of an Indy car crew. As he recounted stories of the racing circuit, his eyes would light up with pleasure at the memories. 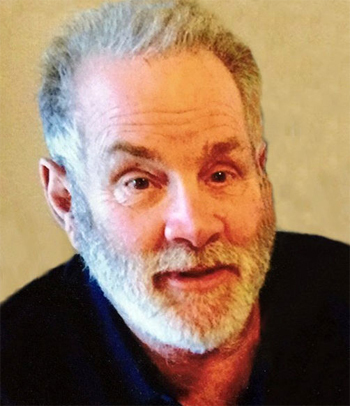 He loved Wisconsin team sports and was an avid Badgers Hockey fan for many, many years. Alex was also a very enthusiastic Packers fan and would loudly voice his opinion when he felt a bad call was made. He truly loved music, particularly jazz and blues. Alex introduced his wife, Nanci (married in 2001) to live music, and as a result they often attended music festivals as part of their travels. Having grown up with his father's Seeing Eye guide dogs, he continued to have great love and appreciation for and devotion to his own dogs. Alex's dog, Boomer, went nearly everywhere with him and became well-known to his acquaintances. Alex is survived by his wife Nanci and her children Shannon (Anthony) DeMarte and Scott Olsen; much-loved grandsons Thomas and Alexander DeMarte; and nephews Colin and Ian Spence. He was preceded in death by his parents; beloved first wife Lynn; and his sister Helen. Following Alex's wishes, his family will hold a Celebration of Life at a later date. If desired, you may make a memorial gift to an organization of your choice in his memory. Please share your personal memories and online condolences at www.gundersonfh.com.